Songwriter Holly Knight is known for pushing hitmakers to new heights and depicting female empowerment in her songs. Holly Knight helped define the sound of '80s pop music. Though you may not know her name, the three-time Grammy winner's music has appeared on more than half a billion records sold. Born in New York City, Knight started playing piano at age 4 and studied classical music for more than a decade. But as a teenager in the 1970s, Manhattan's downtown rock scene beckoned. Knight formed a band called Spider with musicians she met in the clubs who had lots of potential, but not a lot of material. So she started collaborating on songs for the band, including one called "Better Be Good To Me." Comprised of only two chords, Knight wrote the tune on guitar, which she didn't really play at the time. "Better Be Good to Me" was inspired by a letter Knight received from an admirer, expressing feelings for her and beseeching her to treat him kindly. Knight flipped and reversed it, writing the song's lyrics about a woman not asking but demanding respect. 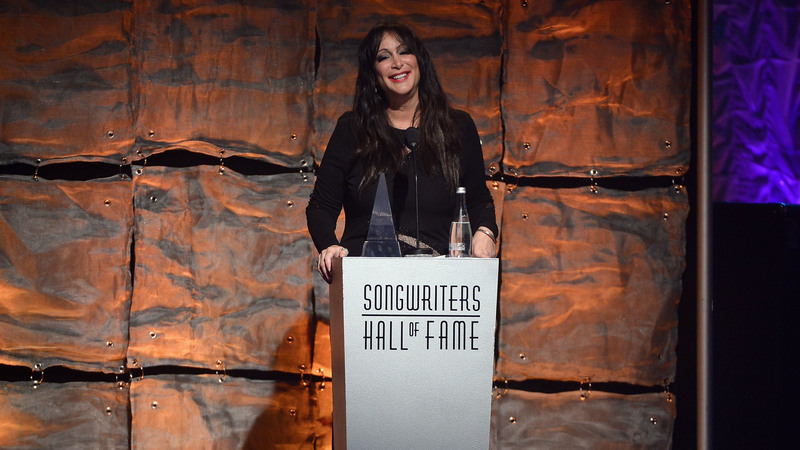 Holly Knight onstage at the Songwriters Hall of Fame 44th Annual Induction and Awards Dinner in 2013. As the story goes, Tina Turner heard it and immediately felt that it had been written especially for her. It later became Turner's signature song. Knight wrote songs for everyone from Aerosmith to Rod Stewart, but some of her most successful work landed with powerful female vocalists. She co-wrote with Ann and Nancy Wilson of Heart during the best-selling era of the group's career. Although Heart's songs were always commanding and candid, Knight pushed the members to the next level as hitmakers. Knight's songs often felt like feminist anthems, even if they didn't start out that way. She co-wrote the song "Love is a Battlefield" as a ballad, but singer Pat Benatar turned it into an uptempo rock song and made a video for it that depicted female empowerment. Knight wasn't just making statements for women. She described the shifting dynamics of relationships, suggesting that it might be better to unite and take on the world as a team. The fight metaphors in Knight's songs are a reminder that all's fair in love and war — and rock and roll. A previous byline incorrectly spelled Meredith Ochs' last name as Orchs. If you're an '80s baby, or just want to be one, Holly Knight's songs are probably already in your head. SCANDAL: (Singing) You run, run, run away, it's your heart that you betrayed. KELLY: Chances are you've never heard of Holly Knight, yet she helped shape the sound of '80s pop with songs like "The Warrior" By Scandal. The three-time Grammy Award winner's music has appeared on more than half a billion records sold. Meredith Ochs looks at her songwriting legacy as part of the series The Women Behind The Songs. SCANDAL: (Singing) Shooting at the walls of heartache - bang, bang - I am the warrior. Well, I am the warrior. MEREDITH OCHS, BYLINE: Born in New York City, Holly Knight started playing piano at age 4 and studied classical music for more than a decade. But as a teenager in the 1970s, Manhattan's downtown rock scene beckoned. Knight formed a band called Spider with musicians she met in the clubs. They had lots of potential but not a lot of material, so she started collaborating on songs for the band, including this one. OCHS: It's only two chords because she wrote it on guitar, and she didn't really play guitar at the time. SPIDER: (Singing) You better be good to me. That's how it's got to be now. OCHS: "You Better Be Good To Me" was inspired by a letter Knight received from an admirer expressing feelings for her and beseeching her to treat him kindly. Knight flipped it and reversed it. She wrote the song's lyrics about a woman not asking but demanding to be respected. As the story goes, Tina Turner heard it and immediately felt it had been written especially for her. It became Turner's signature song. OCHS: Knight wrote songs for everyone from Aerosmith to Rod Stewart. But some of her most successful work landed with powerful female vocalists. 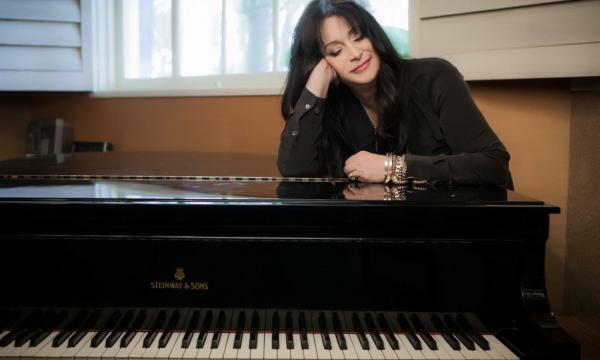 She co-wrote with Ann and Nancy Wilson of Heart during the bestselling era of their career. Heart's songs were always commanding and candid, but Knight pushed them to the next level as hit makers. HEART: (Singing) Anything you want, you can make it happen. Stand up and turn around. Never let them shoot us down. Never, never, never, never run away. OCHS: Performed by such powerhouse women singers, Holly Knight's songs often felt like feminist anthems, even if they didn't start out that way. OCHS: She co-wrote this one as a ballad, but Pat Benatar turned it into an uptempo rocker and made a video for it that depicted female empowerment. BENATAR: (Singing) Love is a battlefield. OCHS: Knight wasn't just making statements for women. She was describing the shifting dynamics of relationships, suggesting that it might be better to unite and take on the world as a team. It's the same in songwriting. If you can figure out a way to work together, you're more likely to find success. The fight metaphors in Knight's songs are a reminder that all's fair in love and war and rock 'n' roll. BENATAR: (Singing) We are strong. No one can tell us we're wrong. KELLY: Our music critic Meredith Ochs is the author of several books, including "Rock-N-Roll Woman." BENATAR: (Singing) Both of us knowing love is a battlefield. When I'm losing control, will you turn me away... Transcript provided by NPR, Copyright NPR.